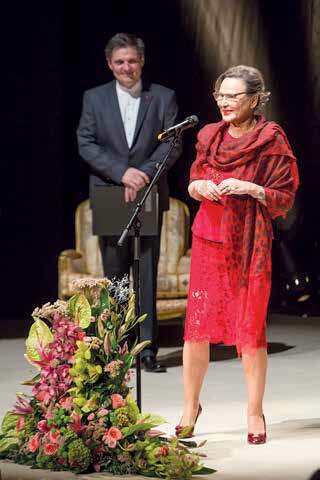 When one summarises everything that Mrs Madlena Zepter has contributed to Serbia’s people and cultural institutions, it is easy to reach a figure in excess of €50 million, which places CorD’s interlocutor among the biggest patron of art and benefactor in culture in the history of Serbia and in Europe today. What represents the cultural heritage of Madlena Zepter in Serbia today? One building that bears her name, Madlenianum, which was designed as an opera house and has long since also hosted ballet and theatre. It has endured for more than two decades with a reputation as the most important institution of culture in Zemun and the only private theatre house in Serbia. For its maintenance, work, and for five-six premieres per season, Madlena spends up to €1.5 million annually. One museum called Zepter, in Belgrade’s Kneza Mihailova Street, which preserves valuable creations from the contemporary art scene in Serbia. One Foundation, which has function for ten years and whose scholarship recipients, more than 500 of them, are scattered around the world and include talented artists, such as Nemanja Radulović, Dunja Simić, Marko Josifoski, Stefan Ćirić, Bojana Cvejić etc., and also sporting aces like Ivana Maksimović, Davor Štefanek, Ivan Lenđer etc. One literary prize of the publication Politika Bazar intended for female writers and called Žensko pero (Women’s Pen), representing the second literary prize of European rank. When it comes to this woman who invests so much in culture, it should be noted that her husband is Filip Zepter and that they have eight production facilities, located in Italy, Switzerland and Germany, and companies in 60 countries and on five continents around the world. For the Italian media, Filip Zepter is “the captain of Zepter International, a multinational and multi-brand company that produces, sells and distributes ultra-luxurious and technologically innovative kitchenware and cosmetics that are advanced from a scientific perspective, avant-garde medical instruments, valuable items and revolutionary home care equipment.” All of this is done in the function of human well-being and the motto live better-live longer! Madlena and Filip are the parents of Ema, who is enrolling in college this year. 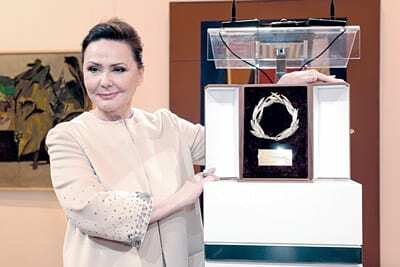 She received her first and, to date, only award, the Zlatan venac – Golden Wreath (presented to her by then Serbian Culture Minister Nebojša Bradić) in 2011, in recognition of her many years as a patron of art and her contribution as a benefactor to the development of Serbian culture. Born in Belgrade, to a Slovenian father and a mother who originated from an urban family in Vojvodina, she was given the Serbian version of the French name Madeleine, which was an exception at the level of bravery during the years when, in the verve of post-war enthusiasm, girls were given names linked to revolution and socio-realism. She has felt that melancholy between Slovenian pragmatism and the Serbian liberal tradition within her throughout her life, as well as a need to familiarise herself with and fuse diversity. Madlena’s mother, Divna, played the key role in her upbringing and early life. Her greatness was in the fact that she raised her only daughter in such a way that she didn’t even realise that she was a child of divorced parents. Her father was there only for nice things: for hotels, for holidays in Slovenia and by the sea, for parties and dances in Slovenia, for tennis in Zagreb, for listening to broadcasts of Red Star games… She grew up as a happy only child, enriched by the goodness and wisdom of her mother. When you decided to construct the first private opera house in Serbia, Madlenianum, were you aware that this was a huge investment without any profit? I knew, of course, that opera is the most expensive work in music and the performing arts, and that was something I was aware of when I started that experiment that has long ceased to be an experiment. After two decades of work, we published the three-volume monograph Madlenianum, which testifies unequivocally to everything that we have done over these two decades. And what we’ve done really is impressive. That’s because Madlenianum has not only gained a great reputation, but rather has also become intriguing for a lot of research of every kind and is also inspiring. It is a home for nuanced characters, for creative free spirits. It is a total microcosm of art. I can now also state that Madlenianum lives to the fullest and has a life that’s bigger and stronger than in previous years. It means a lot to me that many artists took their first steps at Madlenianum, and as a rule went on to receive engagements abroad and remained there. I’m also glad that we initiated coproduction cooperation with the National Theatre in Belgrade, though I’m sorry that it took 20 years for someone to realise that working together is cheaper and more cost-effective. In 2010, when you opened Zepter Museum at the heart of Belgrade, in Kneza Mihailova Street, the Serbian capital’s National Museum and Museum of Contemporary Art were both closed for renovation. In this magnificent building dating back to 1922, which is under official state protection, you present a treasure trove with the works of nearly 200 artists, represented by 500 paintings, installations and sculptures, arranged over three floors. What is the greatest recognition for you that your museum had a great mission in the barren years when the largest museums were closed, and the great mission that it still has today? My wish was for this museum to have a mission to educate, enlighten and present culture well as a whole. Zepter Museum has a permanent exhibition that reflects the main flows and personalities of arts in the second half of the 20th century. Morever, this museum offers visitors a dozen exhibitions a year wich I would claim are the best in the city. I don’t know anyone living in Chicago or Washington who hasn’t thanks me for enabling them to take their son, daughter or high school student to my museum to see our collection or painting from the second half of the 20th century. As the number of tourists visiting Belgrade increases, so the number of visitors to our museum grows. It is important to note that tickets for Zepter Museum are very reasonably priced, which is primarily attractive to young people who need to be formed as a good audience. It was more than 20 years ago that your publishing house, Zepter Book World, began operating. Its good profile was hinted at by famous academic and Serbia’s greatest living playwright, Dušan Kovačević, at the opening of your bookshop. Moreover, you also spent ten years awarding a literary prize in Paris for the best European novel, with the winner decided by a distinguished jury that included the likes of Patrick Besson and Frédéric Beigbeder. Why did you bring an end to that prize? Speaking in an interview for Serbian daily Blic, Beigbeder said that this was a very important award, as the only award to crown the best European novel. He also said that the fact that the jury was French and very well composed of highly competent people made it like some kind of Nobel Prize. I’m sorry to have halted its presenting, but at one point it really became a major burden for me, it was a strain to feel worthy of that greatness, weight and love of all those people who surrounded me and were members of the jury. Among them were three academics who are unfortunately no longer with us, but also writer Dominique Bonn, who inherited the chair of one of them and thus became the fourth immortal, as the French dub their academics, within the composition of the jury for the award bearing my name. I was particularly grateful to them that there wasn’t a single award evening or award ceremony that wasn’t attended by all members of the jury, the members of which didn’t change once during those 10 years. And I was also completely aware that they weren’t around me because I am the greatest patron of art in this world, but because I am a Serbian lady, and their country once made a huge mistake towards that country. Otherwise, when it comes to the Zepter Book World publishing house, our book Contemporary German Drama was proclaimed the publishing project of the year at last year’s Belgrade Book Fair. The numerous editions that we have published over the past twenty years, as well as special editions, testify to the diverse and specific publishing profile that we nurture, and which has its readership. Writing about you, poet Charles Simić noted that the growth of your husband’s business has coincided with your forming as a philanthropist and that you consider it your moral duty to show what good will, flawless taste and common sense can achieve in this twisted world. How difficult was that to achieve in a world that is indeed twisted, but also sorry and unwilling to support such works? I was also motivated by the idea: one who wants to do something finds a way, one who doesn’t want to do anything finds an excuse. I sought a way, so I don’t know what the excuse is. There is a wonderful sentence of Czech writer Karel Čapek, which my husband and I remembered from our student days and which goes: Man makes man a man! With such awareness, we always wanted to engage in the promotion of art and culture. While my husband concentrated on the complex company and is a donor in top-level sport, I devoted myself to precisely this aspect of passion. 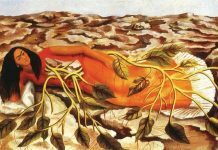 Art, in my opinion, is the highest form of investment, because it is placing a stake on the quality of human creativity. This is naturally very difficult, especially when you are the first to do something, like I was when I wanted to establish the first private Opera in Yugoslavia, or Serbia, and the first private museum in Serbia, but, for me, overcoming the obstacles was also a challenge. So, I tested the strength of my desire to do that, to leave behind me something worthwhile. With a significant montetary investment, with investments of ideas and energy, our cultural and artistic institutions were born, and are today recognised and respected worldwide. All these institutions are equally dear to me and I believe that they have all provided valuable contributions to the promotion of ideas and the positive values of human development, precisely in the spirit of Čapek and, as Tolstoy wrote – Only art can defeat violence. Art and beauty are, thus, the only ideologies that I accept! When you received the Golden Wreath for promoting and investing in culture, that finally marked the stat’s recognition for what you’ve done. Did it come too late? Regardless of when that recognition came, I would have done the same. That’s the social proportioning of value to what I’ve done, and perhaps an incentive for others. At airports, in the streets and at exhibitions around the world, I am approached by people who, to my surprise, recognise me and thank me for doing what I do. Such words always bring tears to my eyes. You quoted someone as saying that that is is human to be gifted and divine to give gifts. After everything that you’ve given, could you able to feel divine? – I just feel human! I’ve been gifted since childhood with love, family, friends and success. This is the first time you’ve spoken about your House of Culture, which is currently under construction and represents another space that will give Belgrade a new spirit and new quality? The Art House, with its area of 5,000 square metres, will be completed next year. Located in Dedinje, the Belgrade residential neighbourhood with the greatest possible exclusivity, it is an expression of my desire to have, alongside our private residence, a house of art that will be closest to me spiritually and spatially, partly as a continuation of the exhibition space for the Zepter art collection, but also as a public space for various culture events from the local and world art scenes, for which we will provide the best technical and technological conditions. There will also be room there to present about 2,000 exhibits from the shortlisted selection of our ARTZEPT International Design Award, which are now partly exhibited at the Zepter Museum in Milan and partly in the countries of award winners. That will be a beautiful exhibition presenting the fifteen years of this award’s existence. 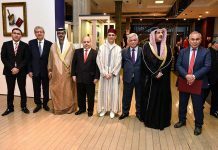 It will also host some of the five annual auctions of the first auction house in Serbia – Madl’ Art – which has been fulfilling its cultural and diplomatic mission for two decades, consistently and in the proper way. I envisage Art House as an oasis of joy that will always radiate with a different art, thus unifying all those who can enjoy it. When summarising everything you’ve done and everything you do, some would conclude that this is the purpose of your life. For me, we are ourselves the meaning of life. It’s sad when people say that their life’s purpose is their job, or even their children. That’s because children must also have the opportunity to fight for their own meaning of life. And they have to take advantage of themselves and get to know the possibilities that opened up to them at the moment of their birth. The meaning of life is never one specific thing. I think that some things are clearly understood from what has already been done. I learned to think beyond the recognised, secure and established. I learned to work, but also to live life as a dream in which many things are possible. And the more possible they are, the more real the dream.